We would like to say a big thank you for all of the parent support that we have been given for the Indian and Eid party day. 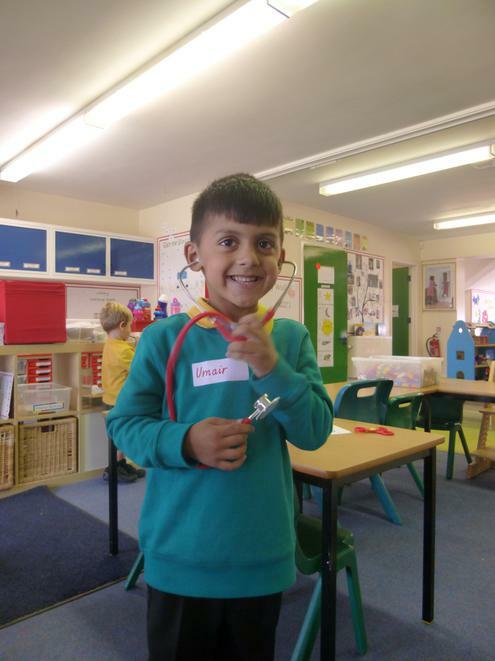 The children thoroughly enjoyed a day of activities including tasting pakoras, bhajis and other traditional treats, dancing, henna and making moons and stars. 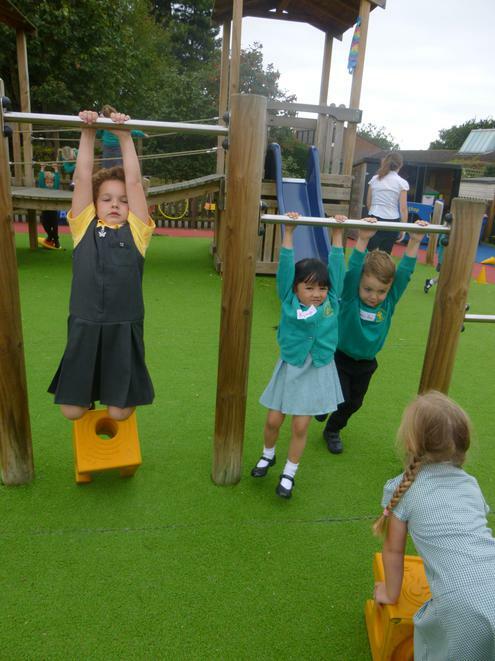 The children also had a fantastic Sports Day and we were very impressed by the audience cheering and participation! 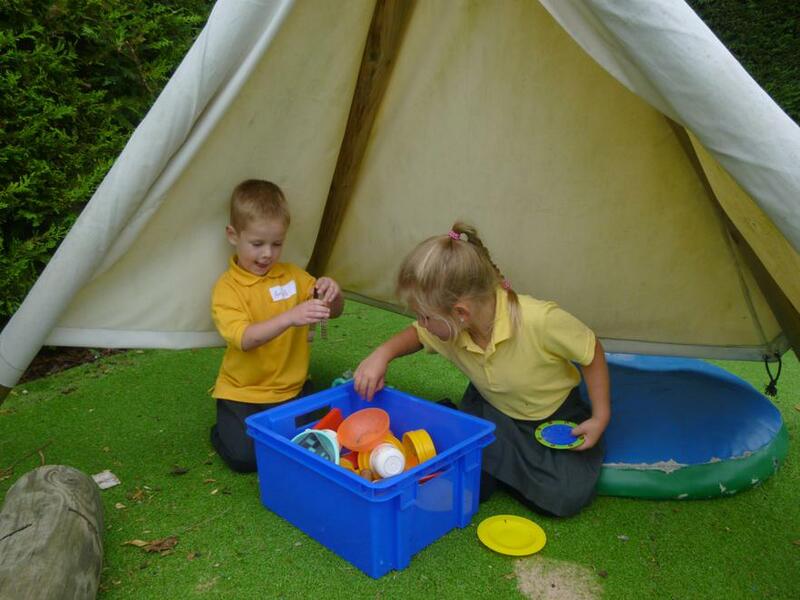 This half term we have spent three afternoons each week doing P.E., Forest School or Science. In P.E. 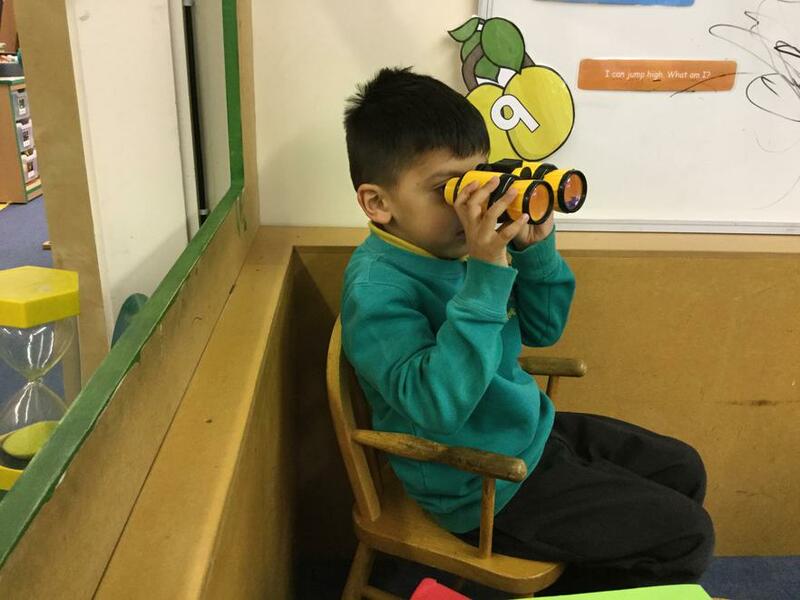 we practised for our running races for Sports Day, while in Forest School we have been hunting for treasure and for mini beasts. In Science we have been learning about healthy eating and last week we investigated volcanoes. 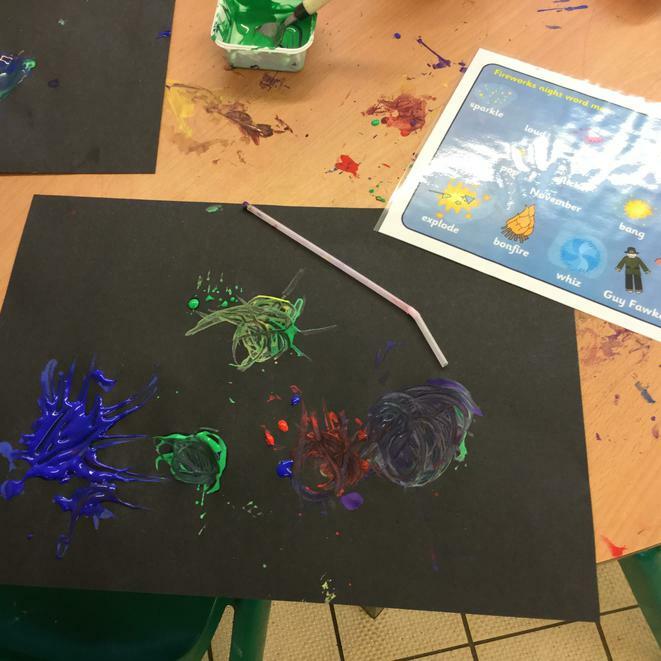 We were so excited to make our own volcano using bicarbonate of soda, vinegar and washing up liquid. 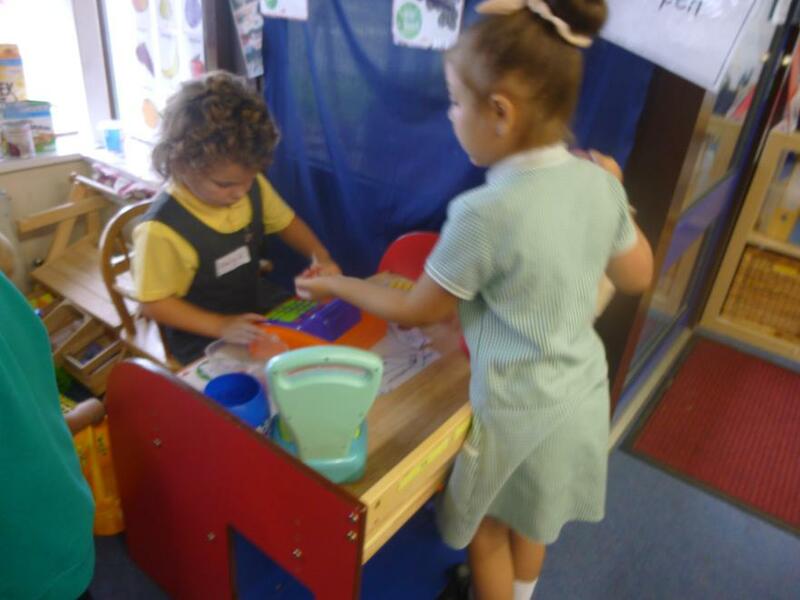 We have been exploring number bonds to 10 with numicon. 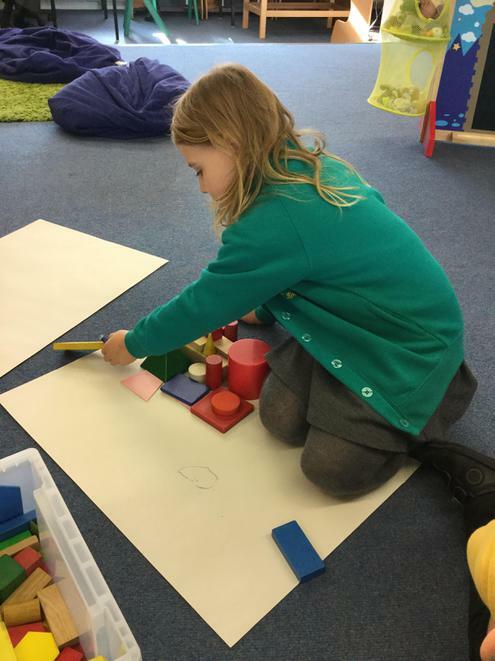 We are becoming experts in recognising the numicon shapes without counting and using them to add. 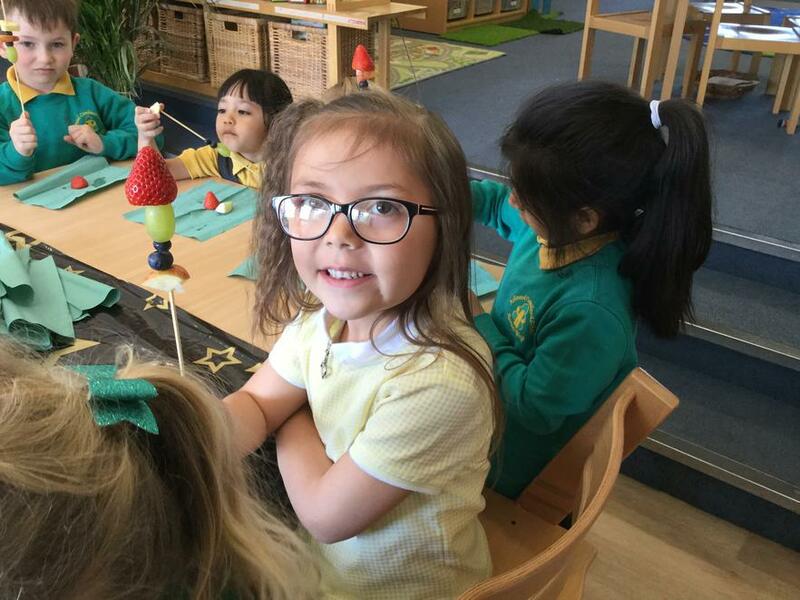 We came back from the Easter holidays to find a gigantic rocket in Early Years! After a day of exploring our new department from outer space, we had a visit from the Science Dome. The Science Dome stayed all day and we boarded the space dome in groups throughout the day. 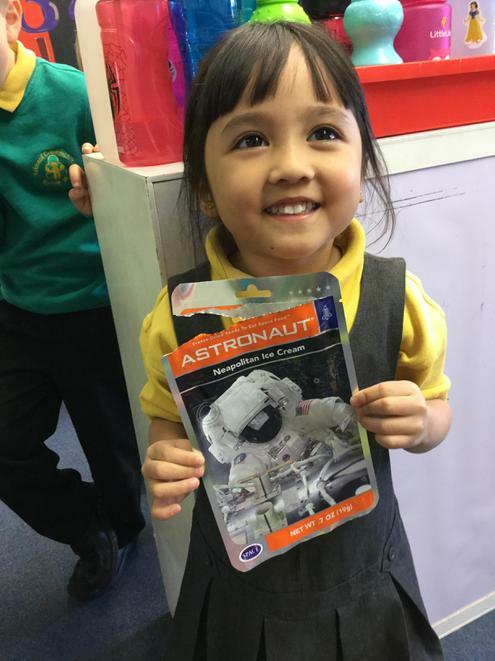 We learnt about everything from space buggies to gravity and joined in enthusiastically with lots of counting down ready for Lift Off! 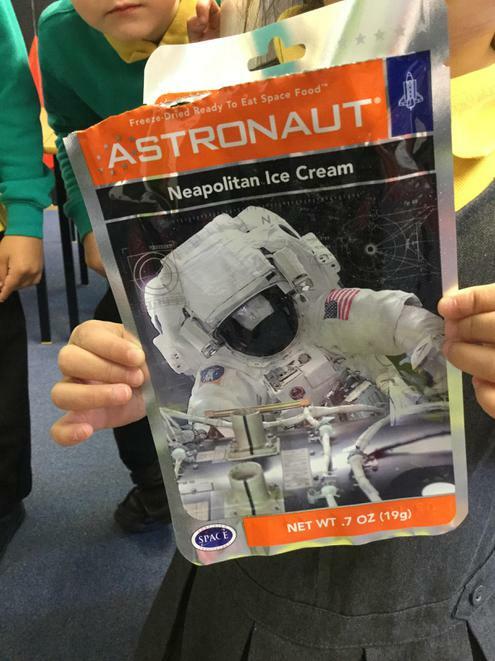 When we were back in the department we enjoyed space themed activities including star making and tasting real NASA icecream. Before the Easter holidays we walked to Mandeville School for an exciting morning of sports activities lead by the Student Leaders. We showed how extra sensible we are when walking to the school, crossing the road and listening to instructions from the sports team. Elmer or Minnie Mouse, who is the heaviest? The last two weeks have been full of comparisons. 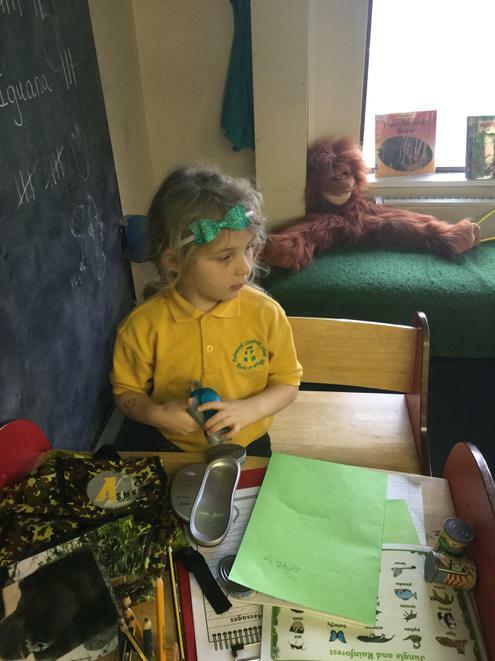 We have been comparing the weight of our snack on the snack table, ordering the height of our friends in our classes and looking at the contrasting shades of green in our jungle plants. Come by the department to see our magnificent artistic impressions of jungle plants and animals using sketching and watercolour painting. 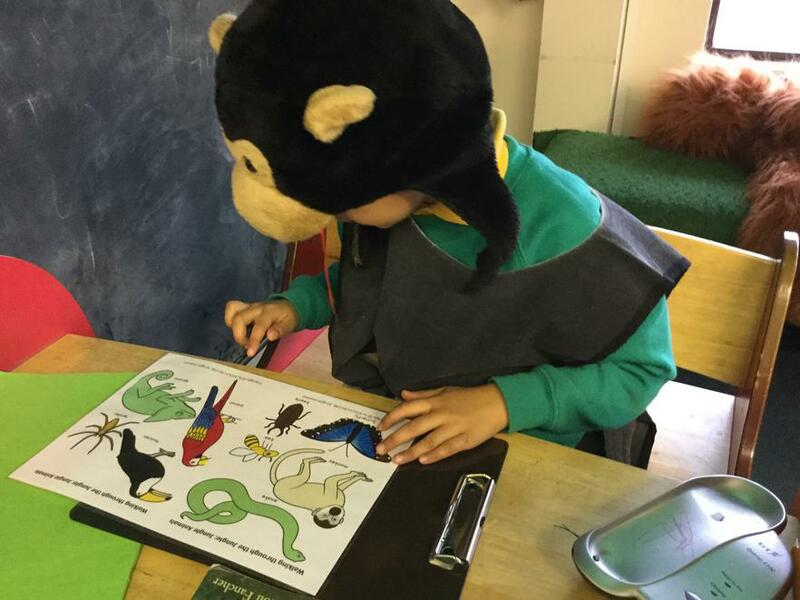 We are busy exploring the Early Years jungle this term while we jump, jiggle and jitter with the jungle animals to retell the story of Rumble in the Jungle. 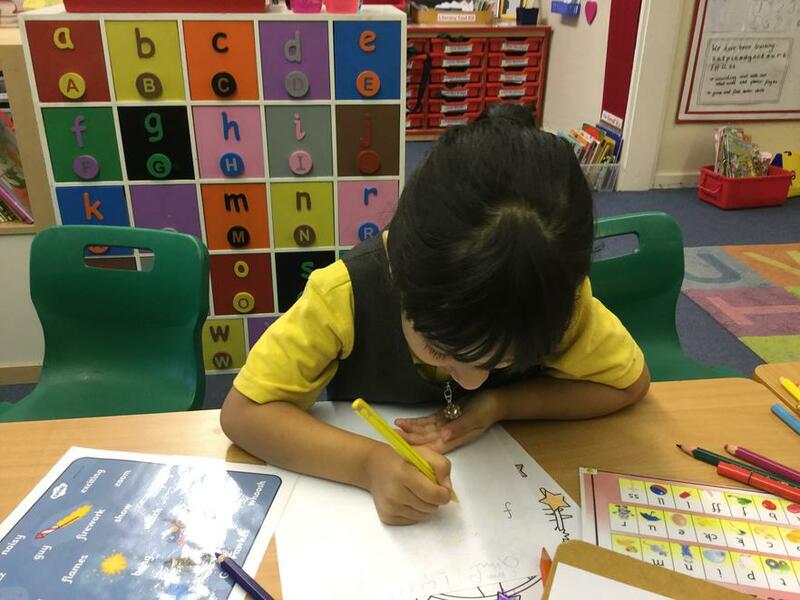 We have been using our phonics to write adjectives to describe the various beasts from the jungle and we have also been thinking about alliteration with help from gorgeous gorillas and zig zag zebras. 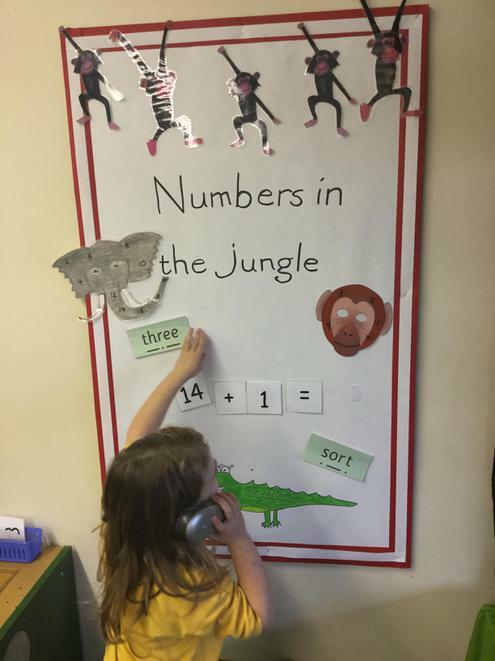 In maths we are focusing on counting on 'one more' and moving on to measuring. Do you know how to measure how tall a giraffe is? We do! 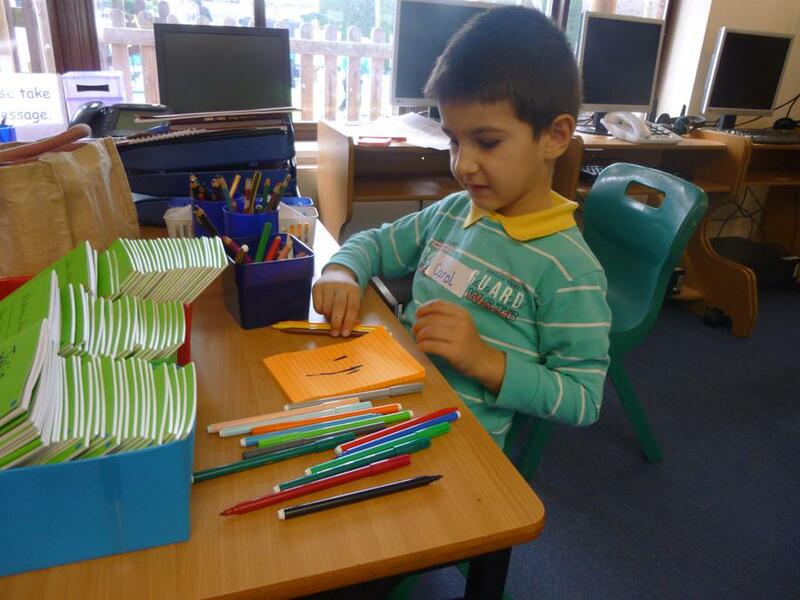 We have been using our phonics to help us to write a letter to Father Christmas, then we put our letters into an envelope and yesterday we walked to the postbox to post them to Santa's Grotto. 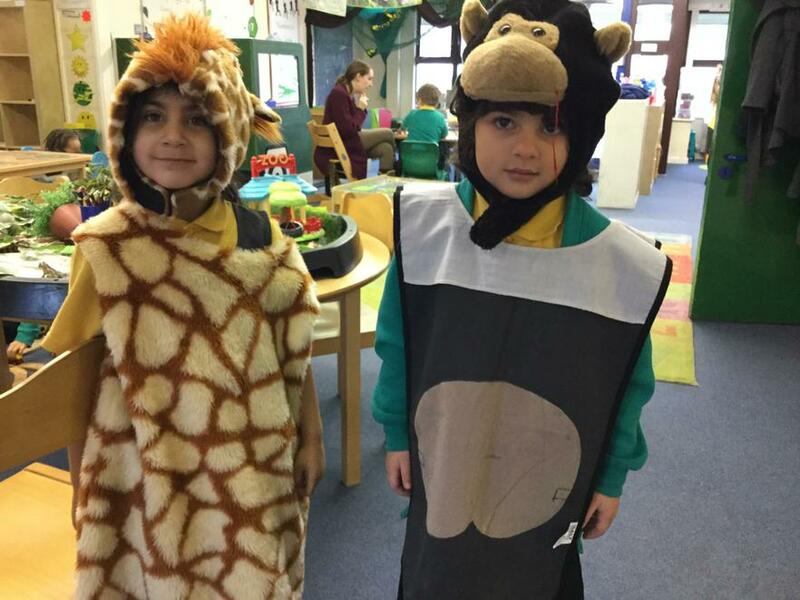 We have been busy practising our dances for the Christmas Play of the Little Owl and the Star. 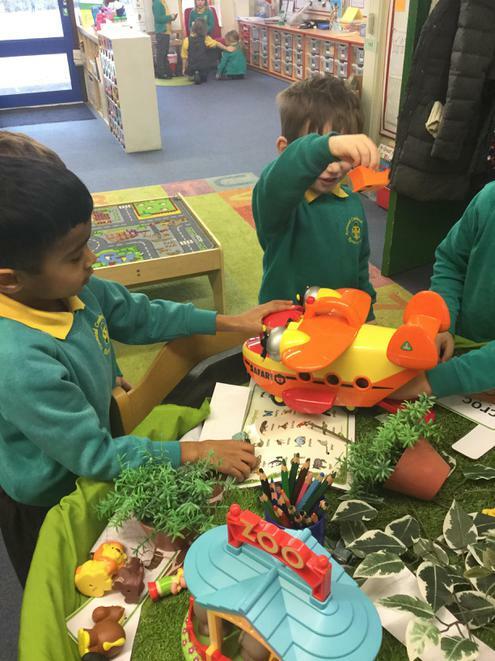 Watch this space for more pictures of festive fun in Early Years. "I'm just a naughty Elf on a Christmas shelf"
Where's that naughty Elf? What is he doing in our classrooms? We have been writing letters to the Elf on the Shelf and investigating what he has been up to while we have been tucked up in bed at night. 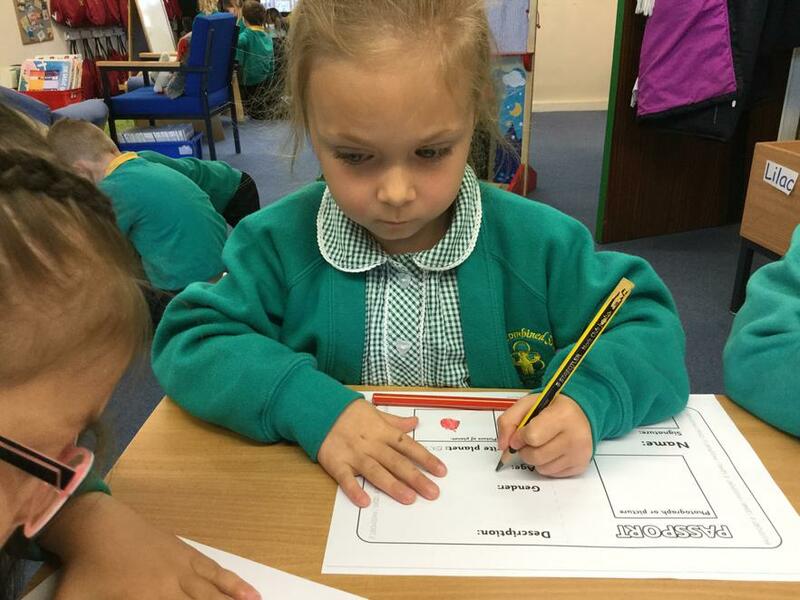 We have also been making surveys of favourite toys and recording numbers and marks in tallys and charts. What is your favourite toy? Will the Elf think you have been good this week? In shared writing this week we made gingerbread men. First we talked about what equipment we would need and we wrote a list, then we followed the recipe to make the dough, next we used the cutter to make the gingerbread man shapes and then we made a recipe of our own. Finally, we took our gingerbread man home to eat! Yum yum! We talked about the brave soldiers, why we wear a poppy and how our money for poppies can help the soldiers. ....you can't catch me I'm the Gingerbread Man! Over the next two weeks we are following the tale of the Gingerbread Man from oven to the fox's mouth! 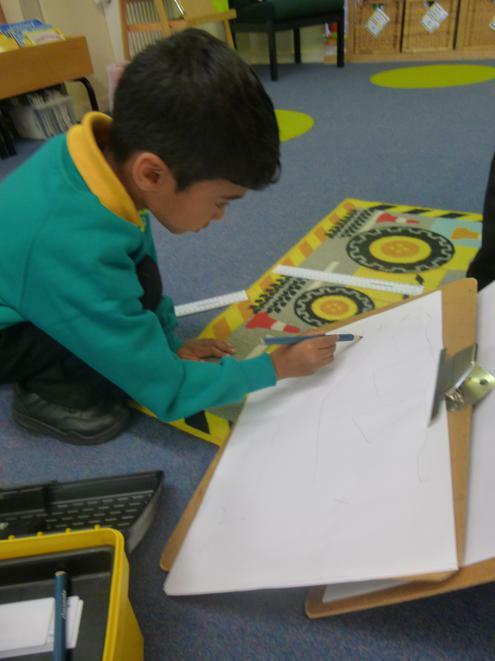 As we get to know the story our confidence grows and we are choosing our own actions and beginning to create our own story maps. Do you know why the Gingerbread Man jumped out of the oven? We do. 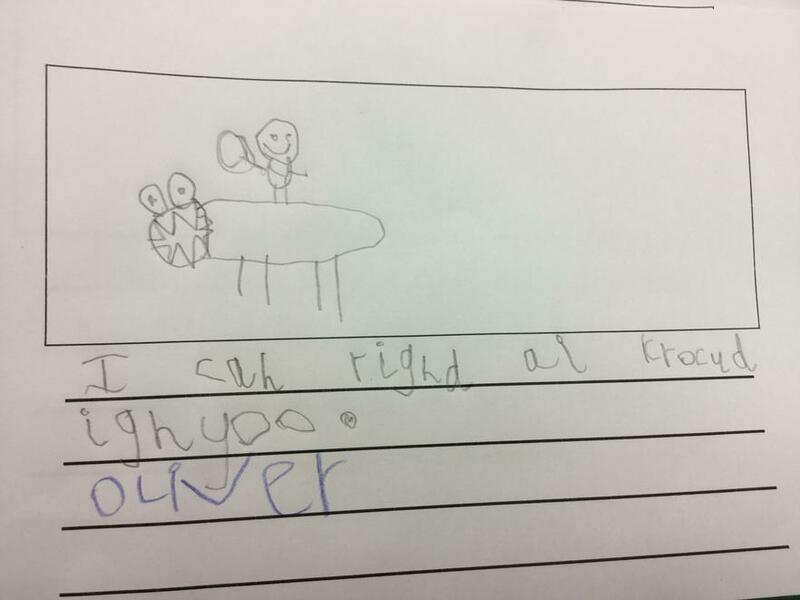 Do you know how the Gingerbread Man felt as he ran from the hungry animals? We do. Next week the department will be filled with the smell of baking gingerbread as we prepare to devour our very own gingerbread man just like the crafty fox. 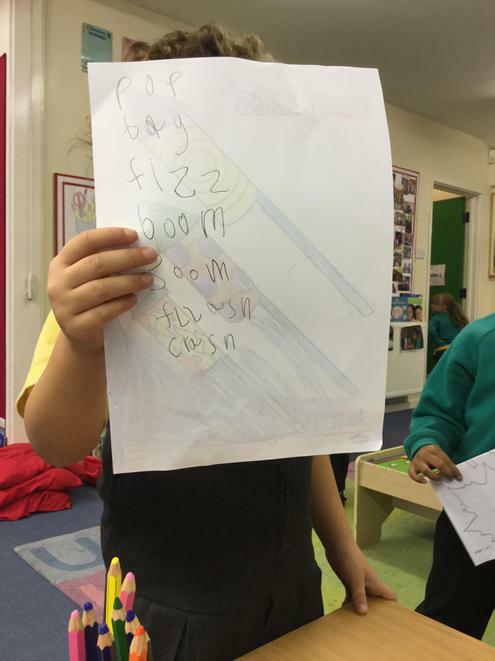 Throughout our play we are exploring words from the story as well as revisiting the sights and sounds of fireworks using our phonics and variety of tools for writing. 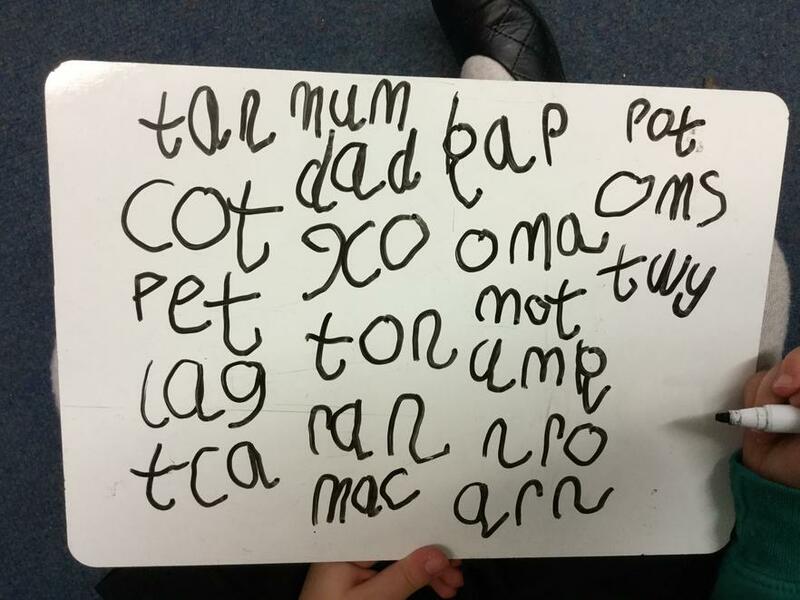 We are learning to use our writing in different ways by forming words to use in labels and captions. You might spot some things that we have labelled around the department! 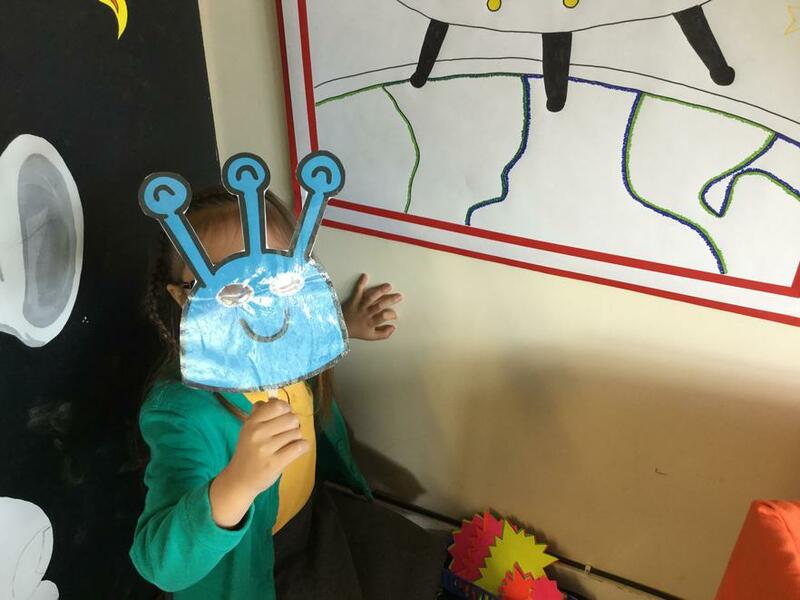 See the link page for the Rocket song we have been singing this week. 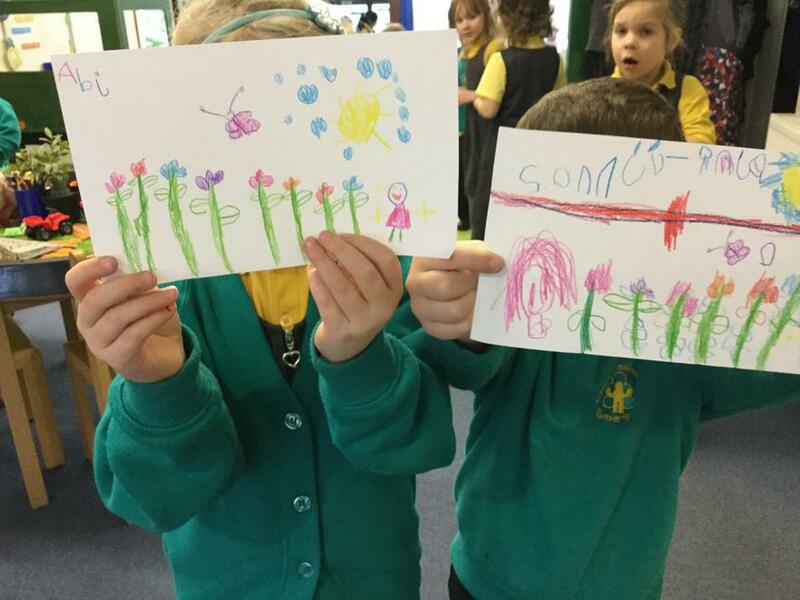 Listening to firework sounds, jumping and spinning like dancing flames and Catherine wheels; we have been busy using our senses and our bodies to explore fireworks. 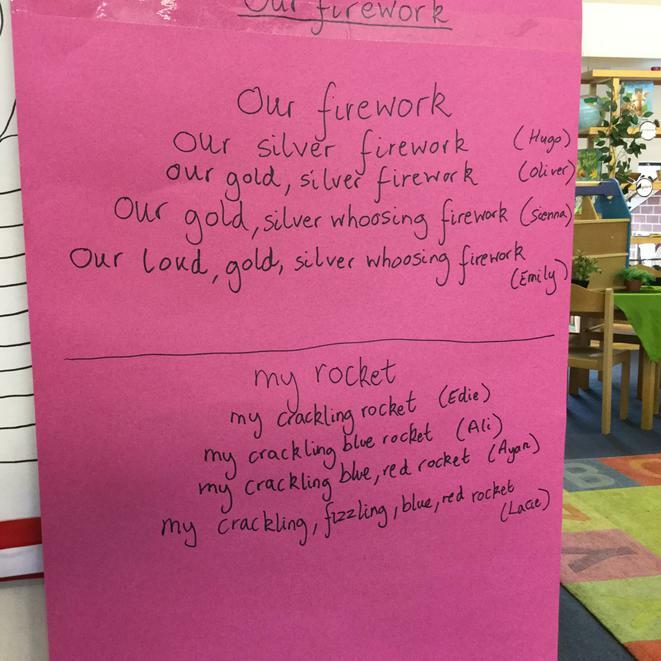 In Shared Writing time we created some poems using describing words about fireworks. 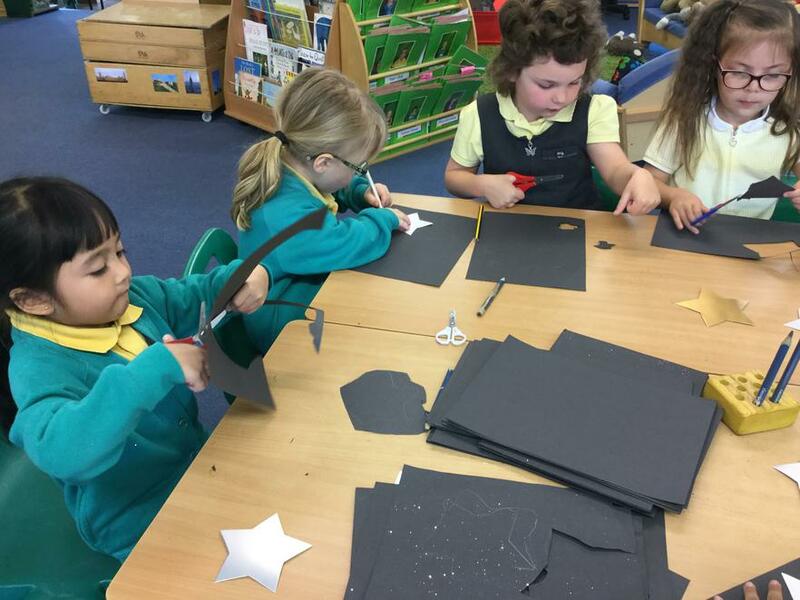 Fireworks also make lots of different shapes in the sky so we have focussed on hunting for shapes, becoming familiar with different shapes and using shapes for different purposes in our play. In the studio we used straws for blow-painting to make some super firework bangs and crashes on paper. 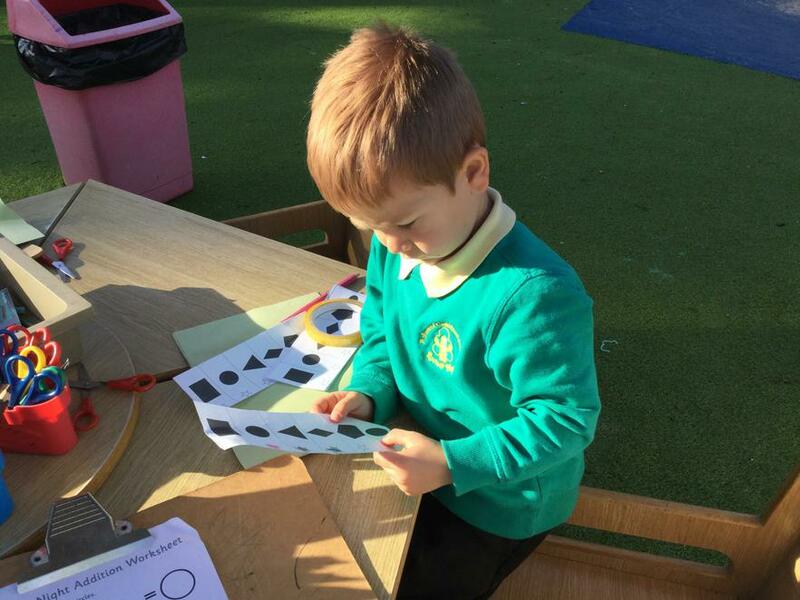 This week we have been exploring number and letter formation outside and around the department during choosing time. 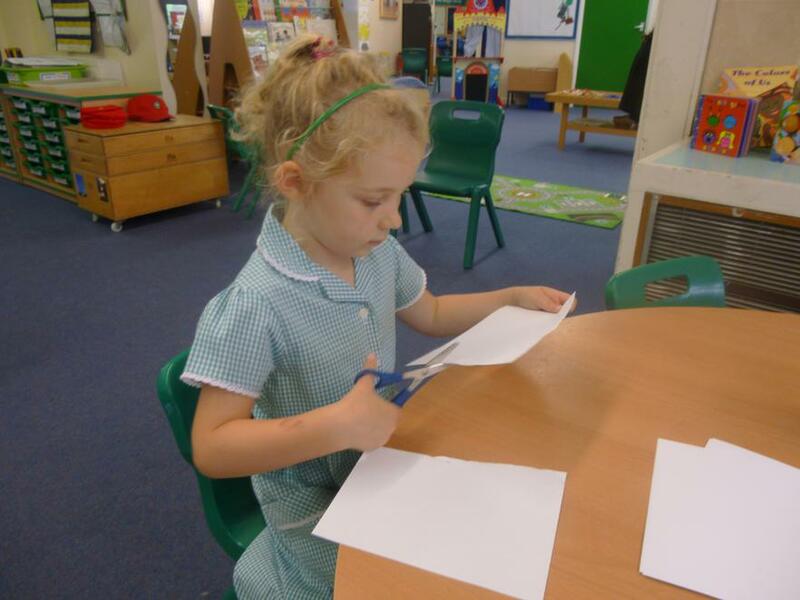 Have you tried to write letters in sand or make a perfect paste from chalks to paint numbers? Who is the winner? We are recording scores from bean bag throwing, hoopla and bike races. Have you been good this week? 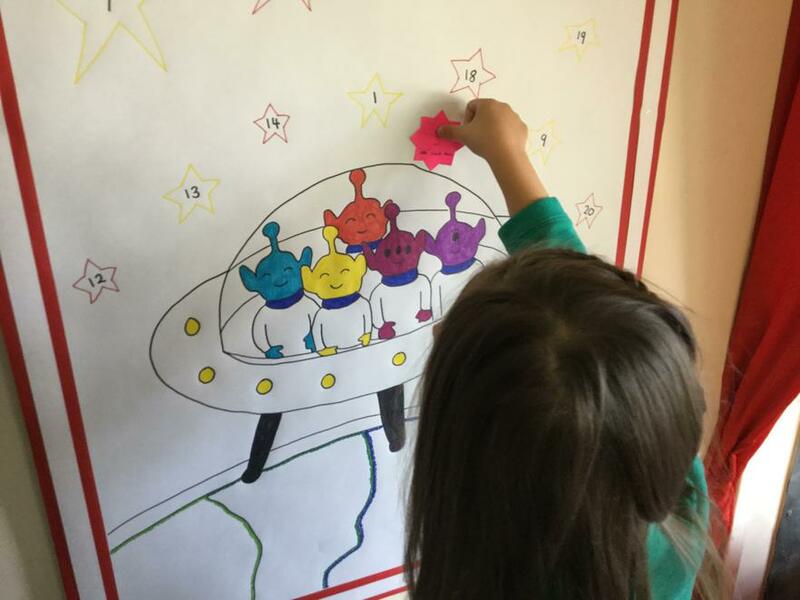 Tell us while we walk around with a clipboard and we will mark it on our very own Housepoint tally sheets! 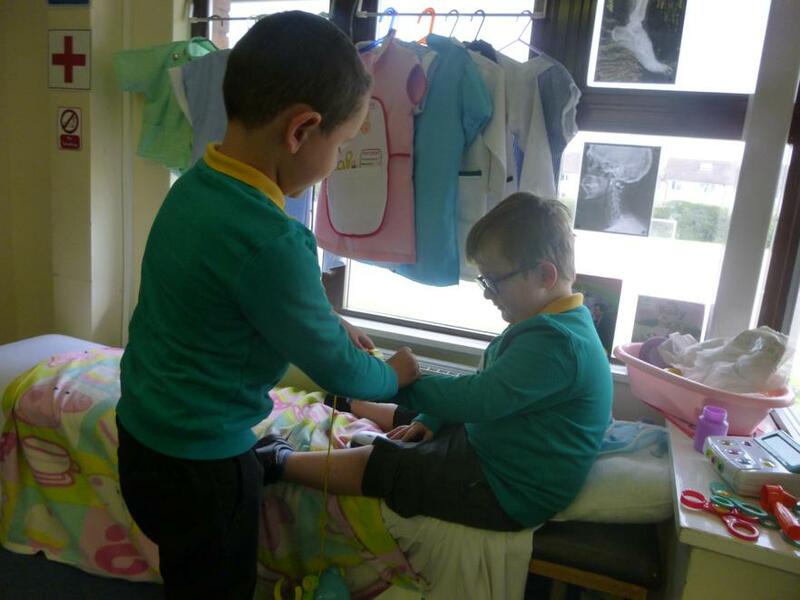 You might hear us singing Head, Shoulders, Knees and Toes or watch out we might wrap you up in bandages as we explore our topic Magical Me. 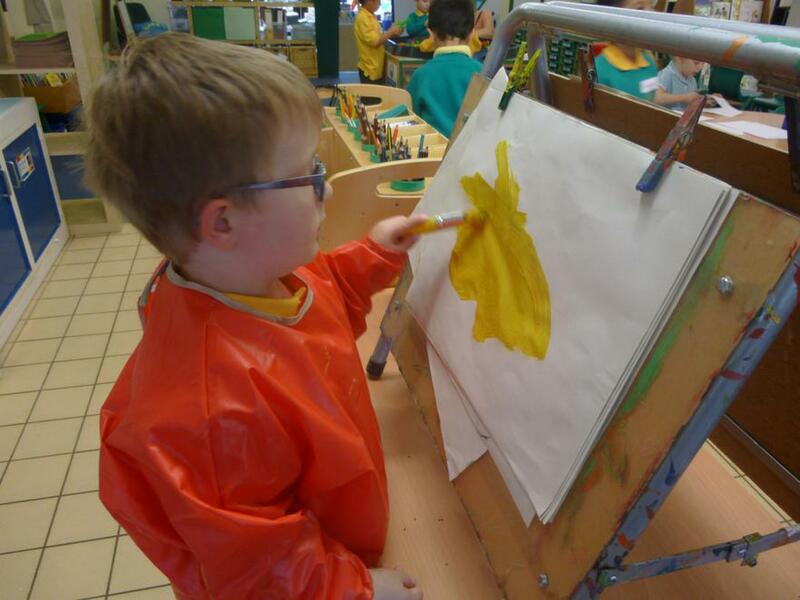 Outside this week we have been working on developing our gross motor skills through painting with water, melted chalks and dancing with ribbons. 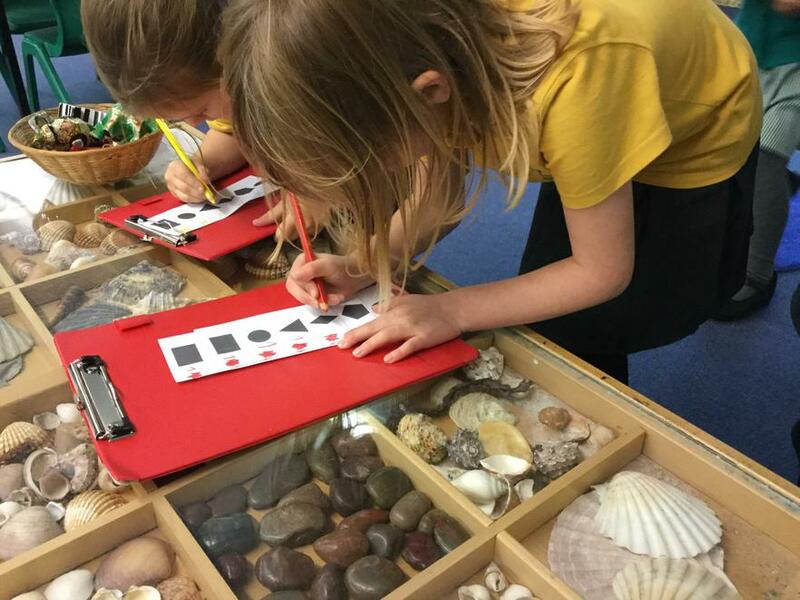 We are getting to know the Little Red Hen through Talk4Writing and she is helping us develop our fine motor skills through mark making in the studio. 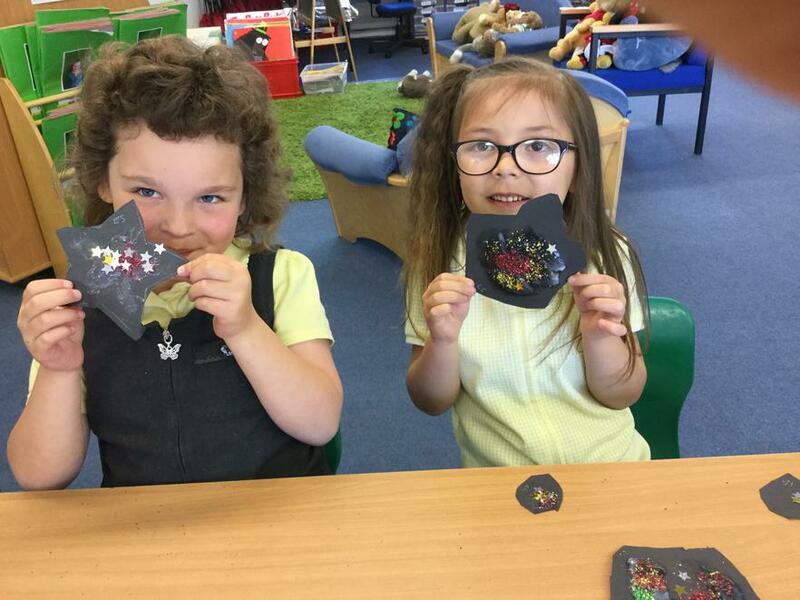 As Summer fades to Autumn we have enjoyed sorting and counting shiny conkers and next week Autumn colour will come to Early Years as we explore colour mixing with Autumn leaves. 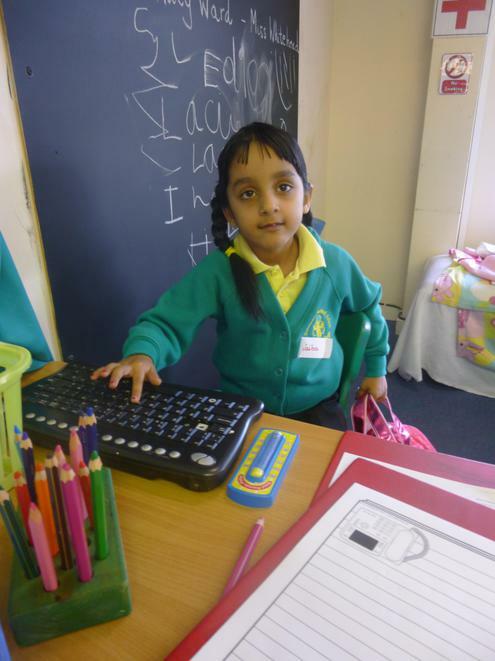 Take a tour through our first week at school. 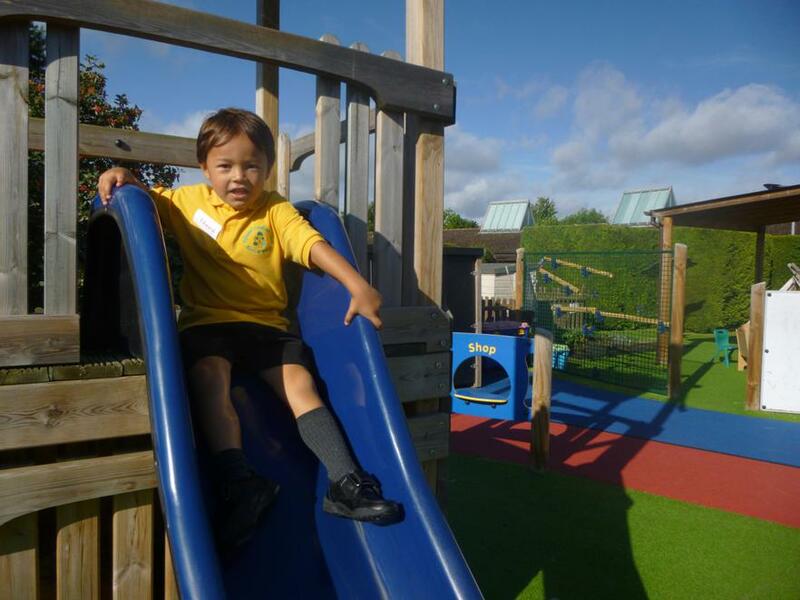 We have been settling in to our new classrooms and routines at big school! 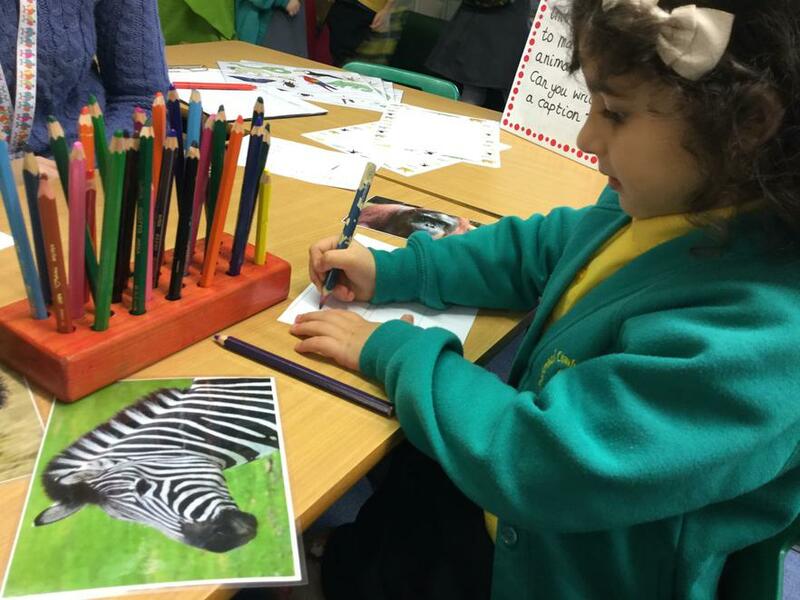 Watch this space for more updates from Autumn Term's topic; Magical Me.